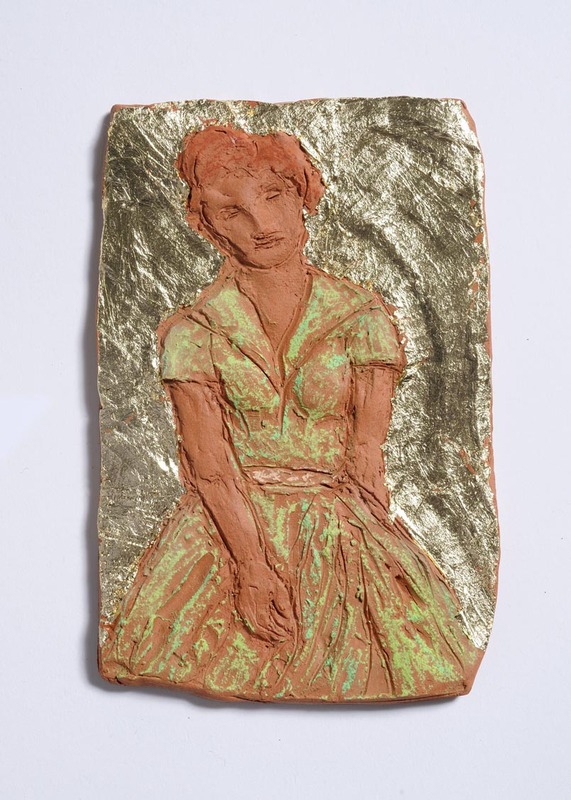 In pursuit of my terracotta ideal, I have been making reliefs which are closer to my 2-D work than my sculptures. One of these, a small tablet or cartouche, of a woman’s face, I have embellished in gold leaf. My first foray into this medium is messy and full of breaks, but it does give my pouting lady the look, slightly, of a Russian icon; mine though looks cheap and precious simultaneously.